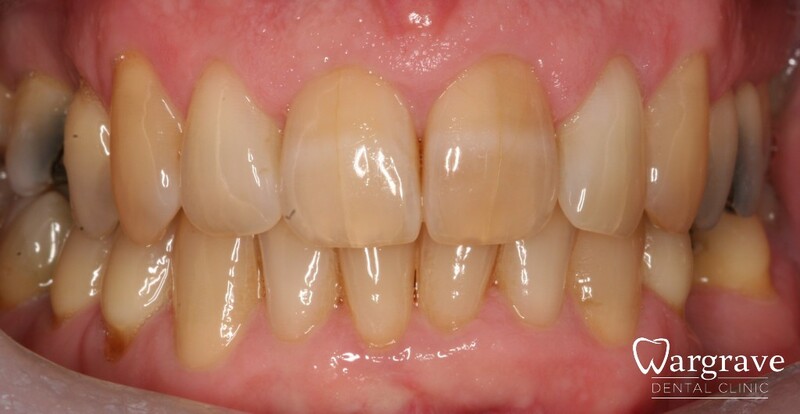 Case 1 – Teeth that have previously been root treated and as a consequence suffered from discolouration can be whitened from within. 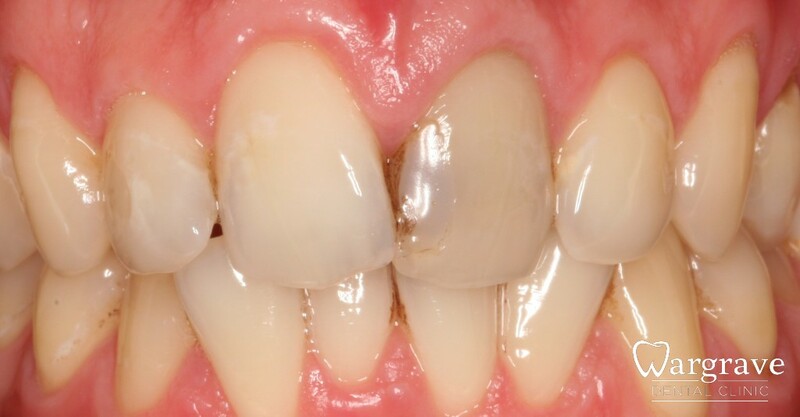 As a result the tooth can be returned to a whiter colour and avoid more invasive crowns or venners. This young man had a bicycle accident and fractured his two front incisors. 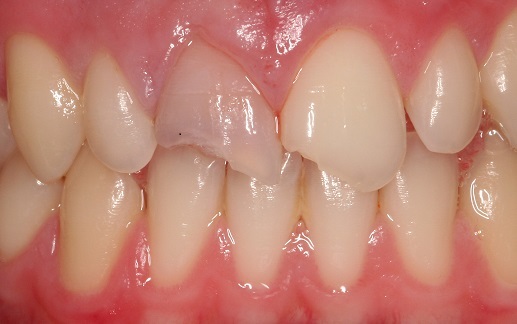 The discoloured incisor was root treated and the tooth bleached at the same appointment. 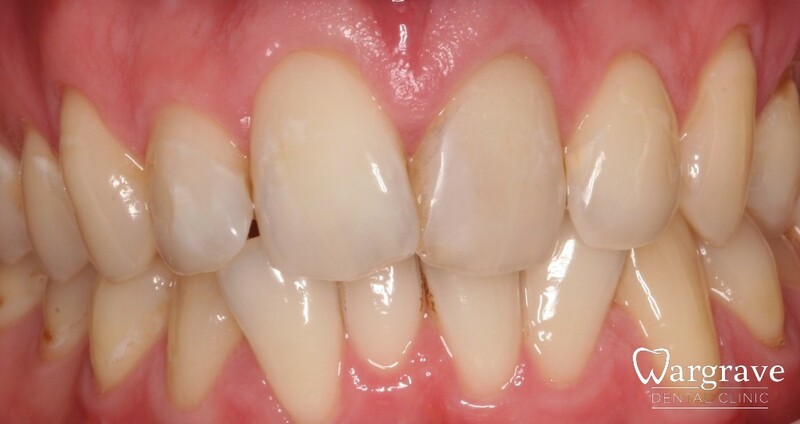 Two minimal preparation ceramic restorations were then bonded on to restore the smile. Tooth whitening is a non-invasive way to freshen up your smile and avoids irreversible techniques like crowns or veneers on healthy teeth. The gold standard is home whitening using customised mouth trays. 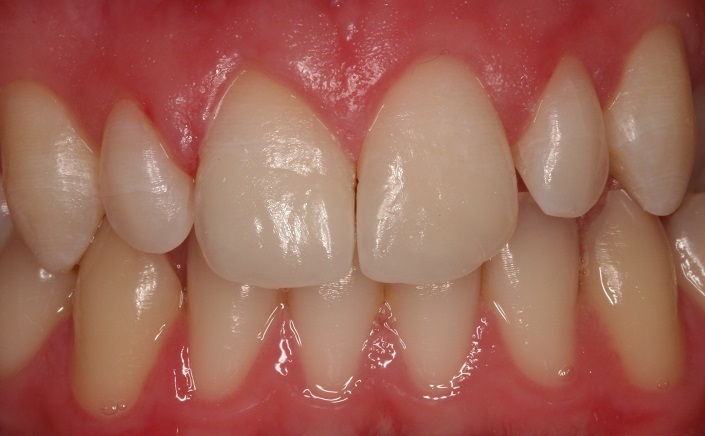 Some patients can experience some temporary sensitivity but it’s not usually a problem in achieving that more confident smile. We will obviously discuss your individual suitability.